University of California, Berkeley, hydrologist Luna Bergere Leopold, a giant in the field of river studies who had a profound influence on nationwide efforts to restore and protect rivers and daylight urban creeks, died February 23, 2006, at the age of 90. Leopold, a UC Berkeley professor emeritus of earth and planetary science and of landscape architecture, succumbed to heart and lung failure at his home in Berkeley. Leopold was a “quantifier” who took notes on the natural world and wrote papers on everything from Hawaiian dew to energy expenditures in rivers, and even on the esthetic value of rivers, said Dietrich. “He was a clear voice and advocate for ethics in science and a defender of the value of esthetics as a reason to protect the natural world, even going so far as to propose a quantification of esthetics,” he said. Leopold was preceded in death by his wife of 30 years, Barbara Beck (Nelson) Leopold, who died in 2004. He is survived by his first wife, Carolyn Leopold Michaels of Rockville, Md., and four children—Bruce Leopold of Baltimore, Md. ; Madelyn Leopold of Madison, Wisc. ; stepson T. Leverett Nelson of Chicago; and stepdaughter Carolyn T. Nelson of Madison. He also leaves behind three siblings—Nina Leopold Bradley of Baraboo, Wisc. ; A. Carl Leopold of Ithaca, N.Y.; and Estella B. Leopold of Seattle, Wash. His brother, A. Starker Leopold, died in 1983. Murray Bookchin, the visionary social theorist and activist, died during the early morning of Sunday, July 30th in his home in Burlington, Vermont. He was 85 years old. 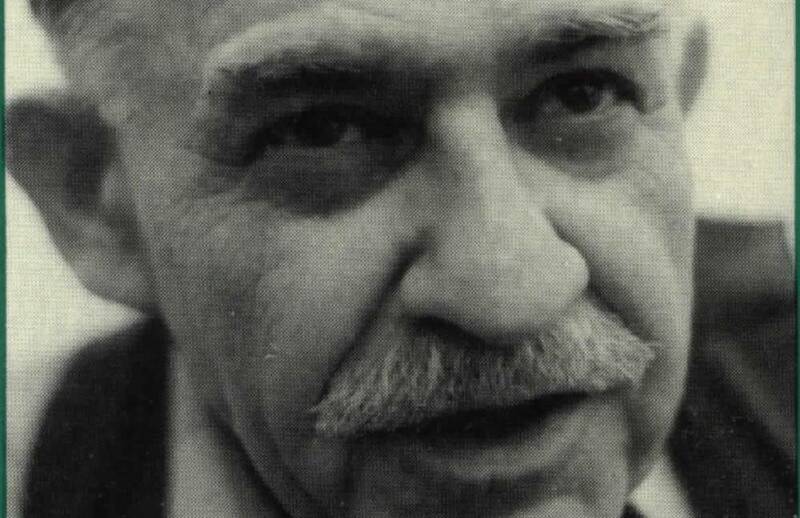 During a prolific career of writing, teaching and political activism that spanned half a century, Bookchin forged a new anti-authoritarian outlook rooted in ecology, dialectical philosophy and left libertarianism. During the 1950s and ’60s, Bookchin built upon the legacies of utopian social philosophy and critical theory, challenging the primacy of Marxism on the left and linking contemporary ecological and urban crises to problems of capital and social hierarchy in general. Beginning in the mid-sixties, he pioneered a new political and philosophical synthesis-termed social ecology-that sought to reclaim local political power, by means of direct popular democracy, against the consolidation and increasing centralization of the nation state. From the 1960s to the present, the utopian dimension of Bookchin’s social ecology inspired several generations of social and ecological activists, from the pioneering urban ecology movements of the sixties, to the 1970s’ back-to-the-land, antinuclear, and sustainable technology movements, the beginnings of Green politics and organic agriculture in the early 1980s, and the anti-authoritarian global justice movement that came of age in 1999 in the streets of Seattle. His influence was often cited by prominent political and social activists throughout the US, Europe, South America, Turkey, Japan, and beyond…. Murray Bookchin was diagnosed several months ago with a fatal heart condition. He will be remembered by his devoted family members—including his long-time companion Janet Biehl, his former wife Bea Bookchin, his son, daughter, son-in-law, and granddaughter—as well as his friends, colleagues and frequent correspondents throughout the world. John Passmore (1914-2004) died in July 2004, a few months before his 90th birthday. In his seminal book Man’s Responsibility for Nature (1974) Passmore argued that there is urgent need to change our attitude to the environment, and that humans cannot continue as predators on the biosphere. However he rejected the view that we need to abandon the Western tradition of scientific rationalism, and was unsympathetic towards attempts to articulate environmental concern through radical revisions of our ethical framework, which he conceived as misguided mysticism or irrationalism. Passmore’s unequivocal anthropocentrism made him a reference point in the discourse of environmental ethics and many treatises in field begin with (or include) a refutation of his views. Passmore’s skepticism about attempts to attribute intrinsic value to nature, and his preferred position of valuing nature in terms of what it contributes to the flourishing of sentient creatures (including humans), is perhaps not as unfashionable now as it was 20 years ago. Passmore was as much a historian of ideas as a philosopher and his scholarship always paid careful attention to the complex historical context of philosophical problems. He published about twenty books, many of which have been translated. Passmore will be remembered as a thinker who helped to shape public debate and who helped to open up domains of applied philosophy and the history of ideas to the wider world.